These days it's rare that I find a drugstore foundation I really love straight off the bat. 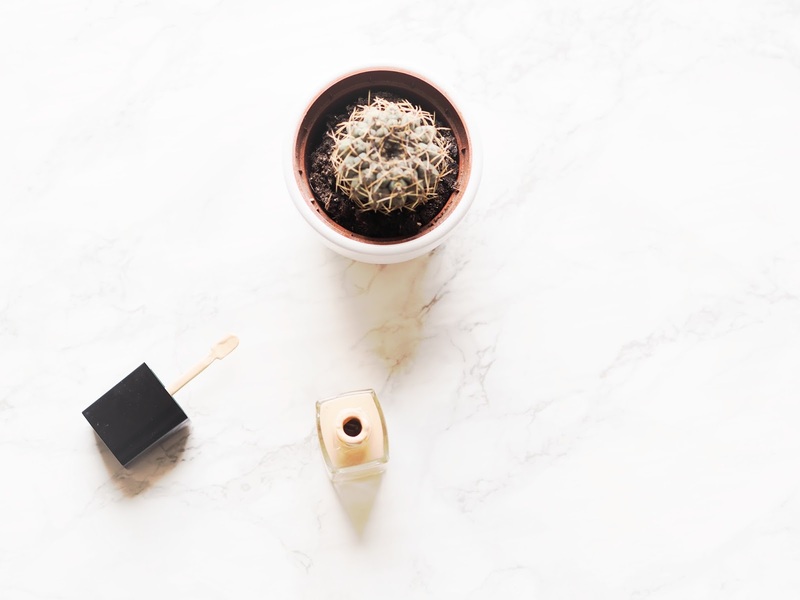 I'm hesitant about trying new ones, often because drugstore in Zurich does not equal cheap, and I tend to be wary of irritating my sensitive skin with new products. 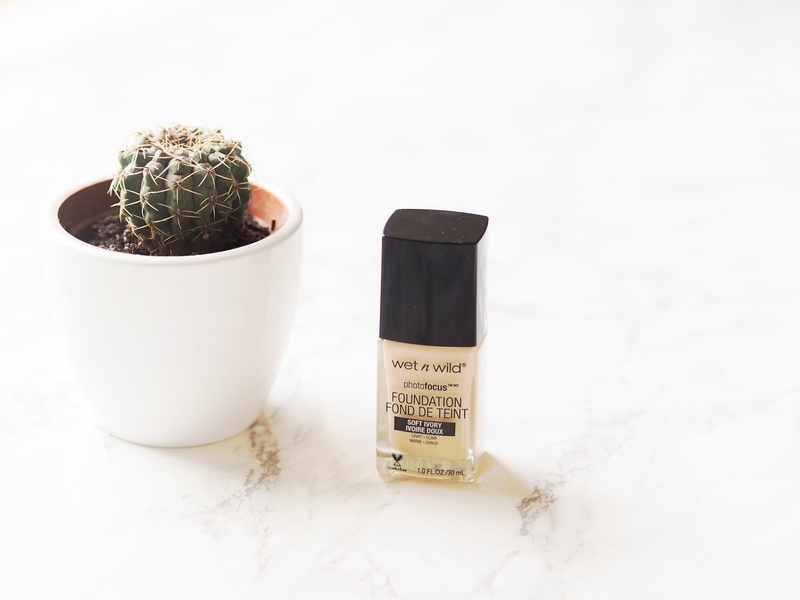 After I saw all the buzz about the Wet 'n Wild Photo Focus Foundation, however, and then proceeded to find it actually being sold here in Zurich, I grabbed it and made a beeline for the till. I've been using this pretty much every day for about a week now, so I feel like I've fully built my impression of it and thought I'd review it and share my thoughts! First off, this foundation is under $6. That means that even with the price increase in Switzerland it was available for a grand total of about 9 CHF, something which is practically unheard of at drugstores here. The product is housed in a glass bottle with a plastic lid, which I proceeded to break before I even got to the till. Little heads up: there's no pump so ya gotta twist and not pull the top. Attached to the lid is a kind of mini-spatula, which isn't the most fantastic way to get product out, but I'm grateful that there isn't just an open bottle top, where you end up pouring half the bottle onto the back of your hand. Whilst there were only fairly light/light-medium shades available in-store where I went, I checked online and they have actually brought out a fairly extensive shade range. It includes various light tones as well as deeper shades, something I'm baffled that not more companies do. I have a very light neck, so even if a foundation seems to match my face, it'll often look ridiculously orange compared to my neck. Due to that, I really struggle to find foundation shades light enough that aren't completely pink. 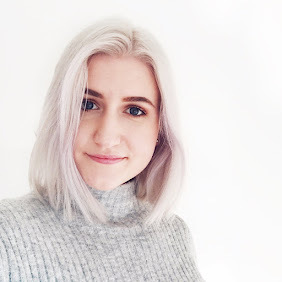 The shade Soft Ivory is a great match for me and I'm really chuffed it works for my skin tone, because there weren't any testers and I kind of just held the bottle up to my face repeatedly before deciding to buy it. Clearly I'm a professional. So let's talk formula. There are a few little things that I think might be a bit of an issue to certain people, so let's disclaim away. First and foremost this feels weirdly oily when you have it on the back of your hand and first dot it onto the skin. It's bizarre because the texture itself isn't really oily and once you blend it out it doesn't look or feel greasy in the slightest. Secondly it has a bit of a weird scent. Not heavy fragrance or anything and nothing that'll be noticeable throughout the day, but it's there when you're applying it. If you're über sensitive to scent, maybe give this a whiff before buying. Now that we have that part out of the way, let's talk about how it actually performs. It's a medium coverage foundation but you can build it up slightly over areas where you need fuller coverage. I have combination to oily skin and this blends seamlessly when applied with a beauty blender and has a natural, ever so slightly glowy finish when first applied. I always have to powder my foundations and this is no exception if I want to avoid looking like a reflective surface by the end of the day. Nonetheless, I think this would be a good pick for normal and perhaps even slightly drier skin too, as it does have a bit of a sheen to it. Once applied, it doesn't emphasise pores, settle into lines or melt off your face. It lasts really well on me for around seven to eight hours before starting to fade and get oily - something that's completely typical for my skin. Powder products apply beautifully over the top and it doesn't feel heavy or look cakey on the skin. It's honestly such a challenge for me to find a drugstore foundation that is in my shade, isn't too heavy and doesn't look too oily on me, so I'm chuffed that I've found this. I really recommend checking it out if you get the opportunity, it's such an affordable and great quality foundation. It's no secret that Wet 'n Wild know their stuff when it comes to making fantastic eyeshadows, lipsticks, highlighters and blushes that cater to smaller budgets but I believe this is the first base product of theirs I've tried and I'm super impressed! Can you tell I kinda like this one a lot? I think I'll have to have a look at some of the other Wet 'n Wild foundations too! Have you tried the Photo Focus foundation? This sounds really nice, especially for the price! This sounds really nice, I love the sound of the shade range and the price! I have dry skin so I hope it works out for me, but at $6 it's not too much of an investment. Oooh I have been so curious about this foundation ever since I first saw it pop up on social media! I'm glad to see it worked for you - I'll have to track it down!